Facial Flex Review 2018: Worth Buying? Facial Flex Review: Does Facial Flex Face Exerciser Really Work? Facial Flex is a face muscle exercise machine. Facial Flex bands are registered as a medical device that aids in helping stroke and trauma patients regain the strength, resistance and flexibility of their jaw and facial muscles. As a medical device, this product has undergone the rigorous testing and approval of the US Food and Drug Administration. It has also been traditionally recommended for use as a jaw exercise device for people who suffer from TMJ and other similar conditions While Facial Flex on Amazon may be new, the product, in fact, has been around for more than two decades now. As a prospective new addition to your beauty enhancement kit, Facial Flex on eBay and elsewhere in leading online retail stores has been gaining a lot of popularity for its alleged positive effects in restoring the youthful elasticity and vitality of your skin. Facial Concepts, Inc., are the makers behind Facial Flex. The company has been in business since 1989. Originally, the idea behind the invention of this device is to help patients regain the strength of their facial muscles in order to help improve movements, including to support proper speech. 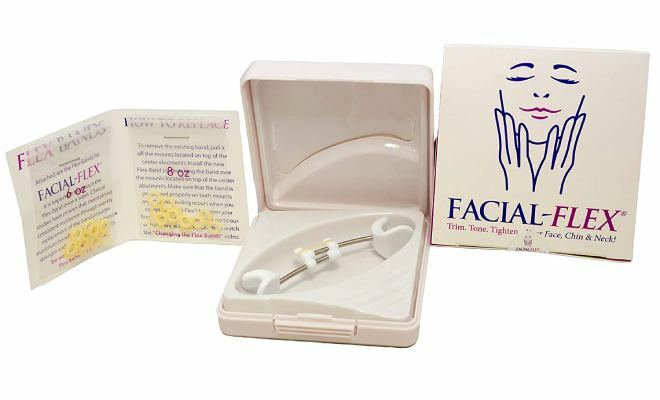 How Facial Flex Face Exerciser Works? First, it improves the resistance of muscles on your face, particularly around your mouth and jaw. Second, regularly repeating the routine at least once daily will keep increasing the resistance of your muscles, making your muscles appear fuller, firmer and stronger. Third, as resistance keeps building, increasing the resistance of your facial flex bands could be a good way of creating an even better contour too, according to Facial Flex reviews. Facial Flex Instructions: How To Use Facial Flex? Facial Flex reviews recommend that you begin by cleansing your face thoroughly. Follow up with toner and moisturizer. Making sure that your face stays well hydrated throughout the application and flexing will help get more elasticity working in favor of your skin. Next on the Facial Flex instructions is to put the device inside your mouth, making sure that the plastic ends are placed on either corner of your lips. Make sure that the larger portion of the device is inside your mouth. Based on Facial Flex review, it is best to use the device in front of the mirror so that you can observe how the device is positioned and how it affects the muscles on your face. Slightly lean over your head forward while keeping your forehead and chin plain and level. While holding this position, press your lips against the device to build facial resistance. Hold that pose for a few seconds before releasing the device inside your mouth. Is Facial Flex face muscle exercise machine effective? The idea of placing a device in your mouth to firm up the muscles could be new and it may just be another beauty hype. On the contrary, there are already related studies that have demonstrated and actually measured the improvements that can be obtained from flexing those facial muscles. One such evidence was in favor of face yoga exercises which was published in 2014 by the Journal of Clinical and Diagnostic Research. The study confirmed what beauty enthusiasts have known all along — facial exercises help restore the optimal and youthful tone of facial muscles. That’s not all — the researchers even recommended that face yoga should be prescribed for dental rehabilitation. Many Facial Flex review appear to be happy about how this mouth exercise device is delivering on its claims of firming up jaw and facial muscles, giving your face and neck the contour it needs to become restored to its youthful appearance. Facial flex before and after photos of users from all walks of life provide further evidence that it works. What are the side effects of Facial Flex? There are major no side effects that can be expected from the repeated use of this device, according to Facial Flex reviews. Though, some review experts warn you to be prepared for the possible pain and discomfort as a result of the resistance created by the bands. 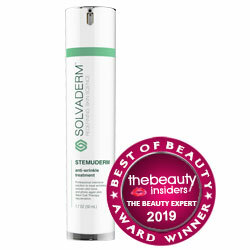 Demonstrated by the reviews, the power of Facial Flex device in enhancing skin firmness and youthful contour. You just have to keep in mind that it takes a few weeks or more for results to become noticeable, and then practicing the same routine for several months to see visible results. Recommended by Facial Flex reviewers, you might have to wait around for the results for too long and just keep doing what you’re doing. Users have shared photos of results after several weeks or months of daily use of the flex device. While some are intended to demonstrate improvements, other users shared photos to show the lack of results. Let us know in the comments, if you wish to see real pictures in our Facial Flex reviewers. Where to buy facial flex? Facial Flex is on QVC as well as on other leading online retail websites. It may also be purchased from the official website. Wrinkle product reviews indicate that this product is available in physical stores too. It appears that it is available for international distribution and, as such, it should be accessible to most, if not all, locations worldwide. Should you buy Facial Flex? Before asking, “Where to buy Facial Flex?” you must be asking if you should buy it at all. Online Facial Flex reviews seem to favor this device better than Flexaway, a similar device that is so much more inconvenient. The evidence is in and the photos are out. Even scientifically carried out studies recommend that exercising muscles on the face helps make skin firm, tight and better contoured. Although positive results could be a prospect, improvements from regularly using Facial Flex are not guaranteed. In any case, Facial Flex may help restore your skin’s elasticity but, it must be complemented with a skincare regimen that is appropriate for your skin, coupled with a healthy lifestyle.